It is a very wet, miserable day here and I have to wait in for some last minute parcels to be delivered. I thought this would be an ideal time to share some more of my Christmas cards with you. This image is called 'Sticky' and is from Mo's Digital pencil. 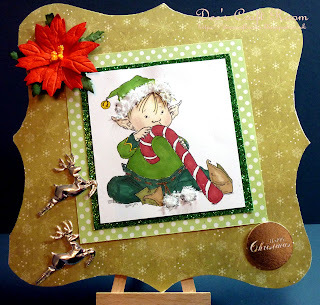 I printed the image onto Crafty Boots Deluxe Crafter's Card and coloured it with Promarkers. I then added Polar White Flower Soft to his hat. I then mounted it on some green glittered card and a piece of green polka dot card from my stash. 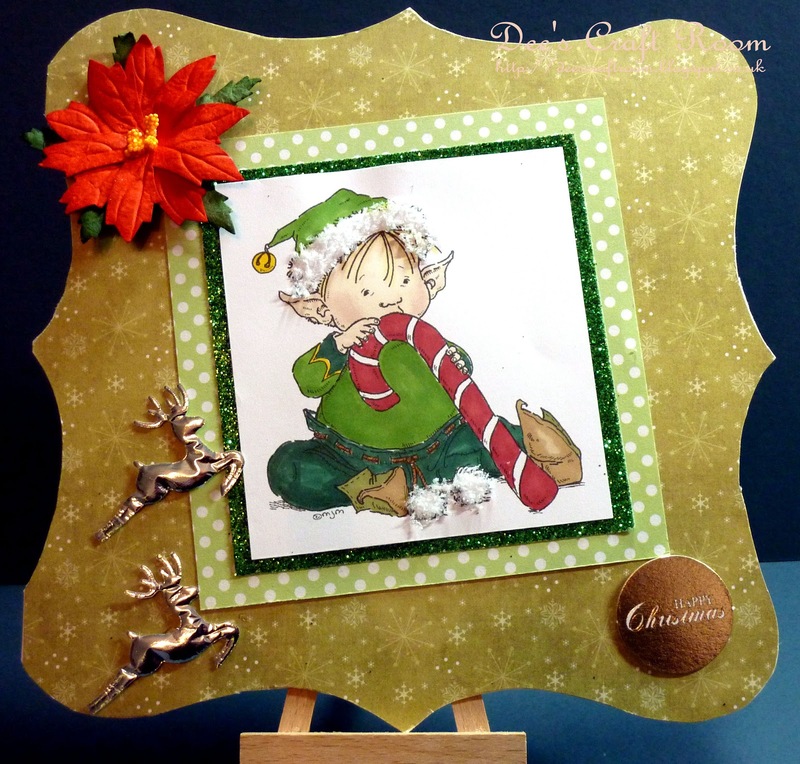 The snowflake backing paper is by Dovecraft and the little reindeer and the poinsettia are from Wild Orchid Crafts. Both the 8 x 8 card blank and the sentiment are by Craftwork Cards, which also came from the Crafty Boots on-line store. Love this card too. Beautifully shaped base and choice of papers. The image is sweetness itself. Loving those deer which make super fantastic embellishments. Irma and Vieno Skiing .... Again!